First I need to say thank you SO, so much for all the kind and loving comments on Isla’s birth story. Like I said, I was hesitant to post such an important and personal story but I’m so glad I did. Each comment truly meant so much to both me and Drew and we appreciate the support that all of you have shown us through the years, especially on the birth of our little Isla Rose! Ever since I had Isla I’ve been living in a robe and socks with messy hair and no makeup. I wanted to dress up and have family photos taken close to Isla’s birth so we could capture our growing family while she is still in this tiny newborn stage. Thanks to my little sister Amy for coming over earlier this week and doing my hair and makeup for me so we could take these photos! Love this little family of mine. I don’t know how I got so lucky! Congrats so much Rachel! Isla Rose it the cutest little girl. Wish your family all the best. such a lovely baby and family! it’s true you are very lucky! Congrats! And such lovely photos. STUNNING photos!! You have such a gorgeous family! Beautiful shots of a beautiful family! This looks so glamorous and beautiful. Sometimes you do need to get out of robes and socks and look fabulous. She is such a blessing. Your family looks beautiful. I’m in love with these photos! I hope you’ll frame one for her nursery! Love these sweet pictures! Congratulations on your growing, happy family!! I afore the fact that for every post you have included Dasherboy, even after Baby Isla Rose arrive, Dasherboy is still very high on the list. I have witness from experiences in the past of other families they changed and treat their once beloved furry friend bad which then turn into being neglected, almost like non-existed when they welcome an addition into their family. That dress is a dream! What a gorgeous family! Beautiful little family! And what a gorgeous dress! Thank you so much for sharing your pictures with all of us! 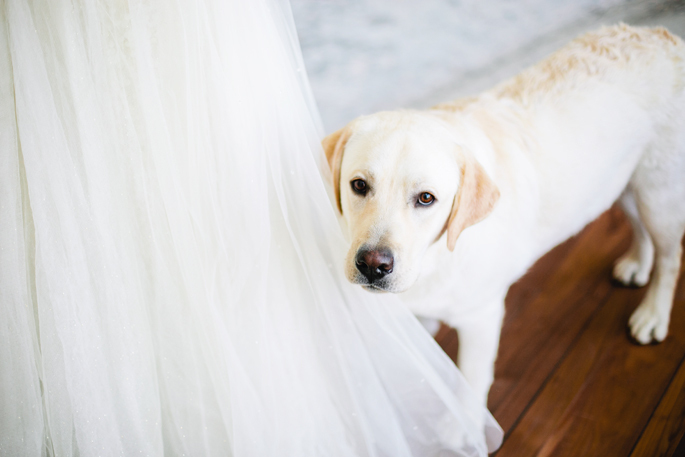 You truly have a beautiful family :-) Best part…Dasher was included in the pictures :-) CONGRATULATIONS and many blessings to you and your family! You are the MOST glamourous. Love the photos and congrats on baby girl. Isla is gorgeous. Congrats Rachel! Your daughter is a cutie! Loved the photos! These are wonderful photos which I’m sure you’ll all treasure forever. I think you may just be the perfect little family!!!! These photos look stunning! And Isla is so adorable. Your dress is breathtaking, and so are the photos, so beautiful! Oh such a stunning family!!! That dress is gorgeous! But I have to say Isla steals the show LOL She is beyond beautiful and so so sooo precious. Congrats again on a healthy baby and new chapter! Wow!! Photos right out of a magazine… I love all the light coloring. That dress is GORGEOUS! Beautiful little family!! It’s okay to dress casual, you just had a baby!! No doubt, though, you’ll keep making time for yourself and dress up for you, do your hair and nails and everything for you…because it’ll make you feel good! xo! Wow!! These are beautiful photos!! Just gorgeous, I would def frame some of these! Beautiful photos! Isla is the cutest! Congratulations on you growing family. Your daughter is gorgeous. Enjoy every minute of this time because it really does go quickly. You are a beautiful family. God bless. Awww! Such a beautiful and heartwarming photos! All the best of luck and much love to you and your little family! 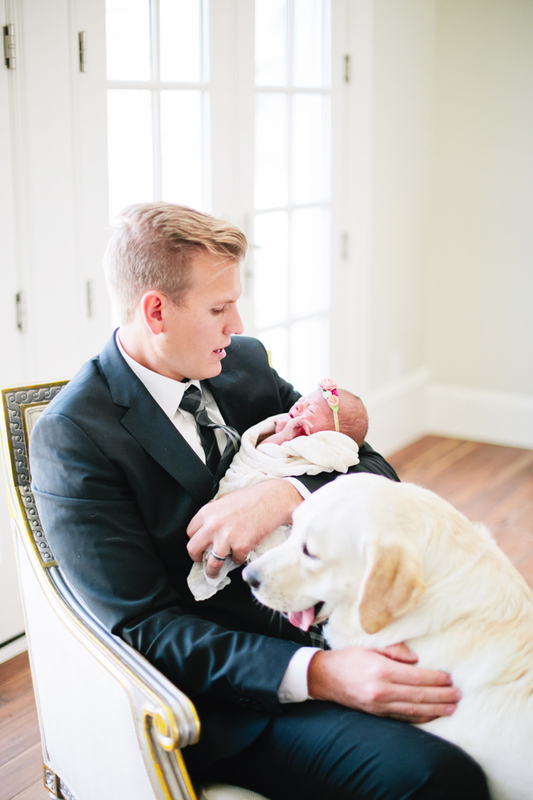 these family photos are so great and your baby girl could not be more adorable!! What beautiful family portraits! Congratulations & thank you for sharing such a special time with us! Wow! Rachel you look so beautiful!! Congratulations!! Love how glamorous your family is! what a beautiful outfit you’re wearing, but an even more lovely new family! That headband on Isla is adorable! I love it! Congratulations Rachel! Isla is beautiful!! All of you look amazing! so classy! God bless Isla and your family! She is beautiful! Thank you for sharing your story with the blogging world. I’m sure it’s not always easy to open up your private life to strangers. Enjoy this time with your little one, as they grow so fast! Mine are 23 and 28 :) It’s a magical time, and no one will care about your messy hair and robe…soon enough you’ll be chasing her around the house :) Wishing you much happiness and blessings always! 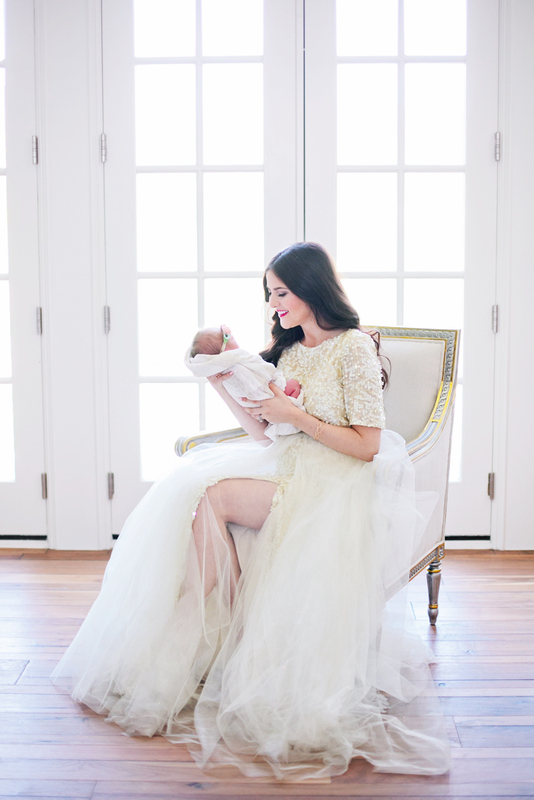 The photo in which you are holding your baby daughter up is so so so gorgeous! Sooo precious. I LOVE everything about these photos. So timeless. So classic. You are one very blessed woman. Beautiful pictures!! Your dog is too funny!! Congrats!! 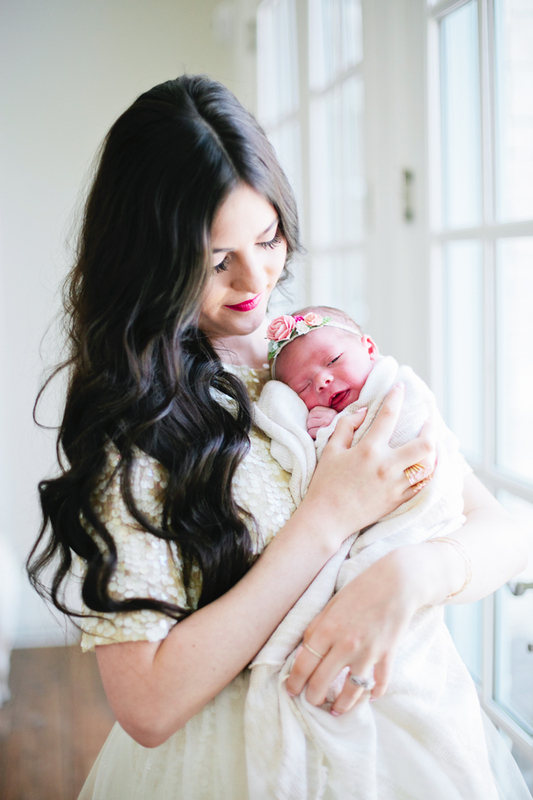 I almost cried after reading Isla’s birth story. I have been following you for almost 2 years now but first time ever leaving a comment! Best wishes to you and your family!! Absolutely gorgeous! So classic and glam! Congrats to your family of 4! So beautiful! You look amazing! Congrats! 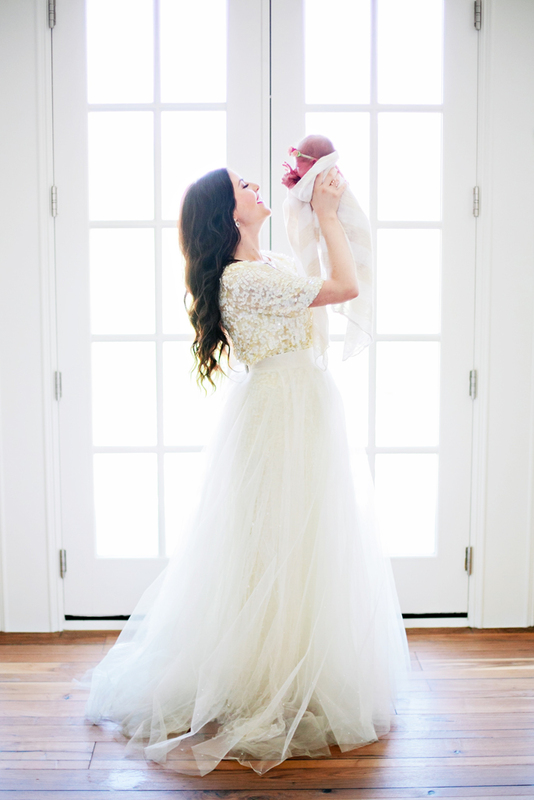 Stunning gown and beautiful family! 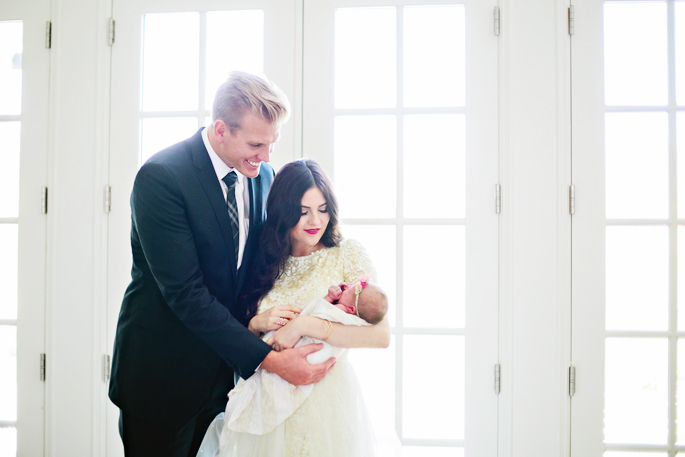 You guys looks stunning and so happy in your love for your sweet Isla! That last photo is absolutely amazing! I love how glam you went with the photos! Congrats Family, Looks Gorgeus, and drew so happy. I love the name…. She is Perfect. Aww these photos are like the most beautiful ones I have ever seen…! 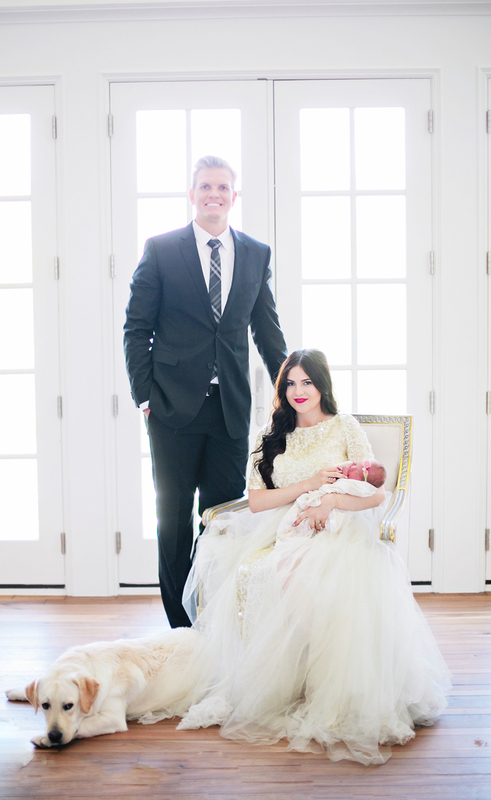 You look amazing in your dress, Drew looks so good and Isla Rose is so pretty! Beautiful family! All of the best wishes. So beautiful as always! Your style is so flawless and timeless! Love seeing pictures as your family grows! Your family photos are so precious! Congratulations! Your baby is adorable! I wish you and your family all the happiness on Earth. I love that you took pictures like this. Seriously, it looks like a royal portrait! Thank you for sharing not only your birth story but these precious first photos of your little Isla. Wishing you lots of happiness (and as much sleep as you can sneak in). So very beautiful and what a sweet little face. Congratulations! Congrats!!!! those pictures are GORGEOUS!!!! Congratulations on the birth of your little girl Isla Rose. She is adorable. I love the name you picked for her, so pretty. Congratulations. What a beautiful family! Thank you for sharing Rach! Stunning photos Rach, that dress is absolutely gorgeous on you! your little family is so perfect!! that dress is also so amazing. Congratulations on your little family Rach! You look beautiful and Isla is a gorgeous baby. I think it was very brave of you to share your birth story. Wearing a robe all the time is the uniform of the Mama of a newborn – don’t worry it doesn’t last! Enjoy every moment of it as you will be AMAZED at how fast she changes and grows. congratulations for your baby! all the bless for your family! you all look beautiful! You’re my family goal…you’re baby is so perfect :) Congratulations!!! The one of Drew holding her is just too precious! You’ll cherish these forever. Absolutely gorgeous!!! This is the fairytale with the happy ending! Gosh these photos really are stunning. I hope you put them all around your nursery! The family pictures are so lovely, you look absolutely beautiful and Isla is too cute! Congratulazioni Rachel e benvenuta Isla Rose! I just wanted to send many hugs to your growing family. Baby Isla looks gorgeous and I may be mistaken but for the moment she resembles also her daddy, at least in some pictures. You seem such a perfect mom! Enjoy this special moments and thanks for sharing with us this part of your life, love from Italy. Beautiful shoot and beautiful family! Congrats on this special moment! What beautiful photos! Congratulations on your beautiful family – you all have such a wonderful glow! Beautiful family! Congrats to you! Congratulations!!!! Much love from Malaysia! such stunning photos. you all look wonderful. such a beautiful family. She is so adorable! And your gown is a pure fantasy! Oh Rach, I’m just so thrilled for you!! These pictures radiate so much love and happiness!! I love how glamorous these photos are but they have a cozy touch to them because they were taken in your home and include Dasher boy! 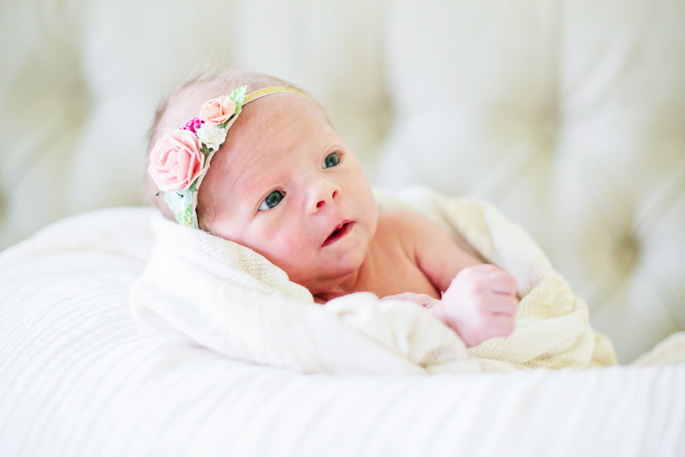 The pic of a Isla Rose with her precious little mouth in an “O” shape is the absolute cutest!! That gown is beyond incredible and it is perfect for you. You are just glowing. You are so blessed! 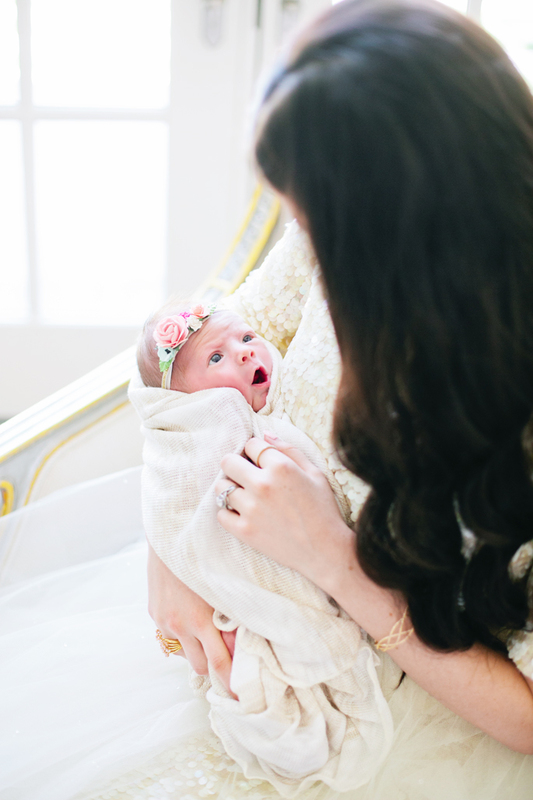 Enjoy every single moment of these precious days in your robes and snuggling your baby girl. These are incredible! How perfect! Congrats, you two! Such a beautiful family. I’m so glad to see everyone doing well! And just when you think you couldn’t love more than you already do, you become a mother. What an incredibly special time for you and your family! And thank you for sharing such a special moment with us. What beautiful photos! I love your outfit and your dog with the baby is adorable! Stunning photos! Congratulations on your new addition! She is adorable. I’m extremely happy for you an your little family Rachel! She’s the cutest thing ever and I’m sure you two will be great parents! These photos are stunning!!! Your baby is so lovely! Such a stunning family. Isla is so sweet. Congratulations! Beautiful photos! Congratulations on your new addition to your family! Love the photos of the 4 of you. So nice you included your fur baby too. She is adorable. So glad you and baby are healthy and home.Blessing to you all.